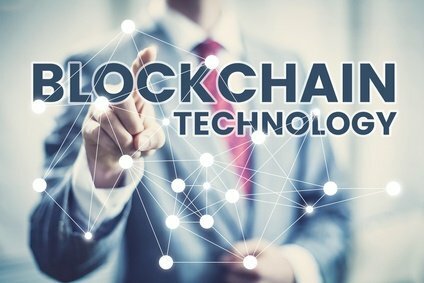 One of the hottest topics around the globe today is Blockchain. The concept is highly elusive with few understanding the operation of the system. To understand more about Blockchain and whether to use it or not, here is a complete guide outlining the technology, its operations and why you should consider being part of the network. Conventionally, many people and businesses have been relying on parties such as banks and governments when making monetary transactions. These two intermediaries are crucial in helping to build trust and certainty. However, the need for intermediaries has remained acute when it comes to digital financial transactions. The blockchain is built to help address this acute shortage. The blockchain is a type of distributed ledger for keeping records of digital transactions. The first Blockchain technology was documented in 2008 when Nakamoto Satoshi who detailed an innovative system of peer electronic cash referred as Bitcoin that allows online payment without any intermediary. As opposed to having a traditional database, (accountants, governments, or banks), blockchain utilizes distributed ledgers that have databases replicated online and visible to all in its network. Blockchain networks are public for those in the network but can be private with a restricted membership that operates like the internet which anyone can access from all over the world. The decentralized, cryptographic, and open nature makes it easy for users to trust each other and make peer to peer transactions. By eliminating the intermediaries, blockchain brings unprecedented security benefits. Blockchain operates like the internet that makes it extra robust. By ensuring that information is stored in blocks of information that is identical in the entire network, Blockchain has no single point of failure and or risk of control by any individual entity. It’s because of this robustness that blockchain such as Bitcoin has operated smoothly with no disruptions. The only issues that have been reported in Bitcoin are related to bad intention or human error and not flaws in the core principle. Many financial experts agree that blockchain will help to enhance the highest level of accountability because there will be no human errors, machine errors, missed transactions or even transactions done without the consent of all involved parties. The blockchain network operates in a special state of consensus; a system that updates (checks) its operations every 10 minutes. Consider this as an auditing ecosystem where the network reconciles all transactions that take place every 10 minutes. Each of these 10-minutes transactions is called Blocks and feature two crucial properties. (i) Incorruptible: Because the data is embedded in the network, it is practically impossible to alter any unit on the blockchain. (ii) High transparency: Because of the rapid information reconciliation and access across the entire network, you are sure of getting the right results from all transactions. Blockchain operates on computing nodes that are downloaded when one joins the network. These nodes acquire copies of blockchain that create a 2nd level network which is a whole new method of how the internet operates. Here, every node operates as an administrator in the blockchain and enjoins the network on a voluntary basis. However, there is an incentive of being part of the network; winning Bitcoins. Though nodes are considered to mine Bitcoins, each of them is in the actual sense competing to Win Bitcoins by working to solve various computing puzzles. In 2016, the transactions on Bitcoin blockchain hit $200,000 per day. Because of the added security through regular updates for all blocks, you should also consider joining the system. Here are more reasons why you should be on the blockchain. (i) Enjoying smart contracts: The distributed ledgers allow coding of contracts that execute when all conditions are adhered to. (ii) The growing sharing economy: With more companies such as Airbnb and Uber emerging and indicating the growth of the sharing economy, Blockchain opens the door for direct interaction between the key parties. (iii) Supply chain auditing: Though distributed ledgers, companies that insist are ethical can demonstrate their operations and genuine. (iv) Files storage: By storing the files in a distributed blockchain system, they cannot be hacked, stolen, or lost.